Nipsey Hussle and Lauren London arrive at the Warner Music Group Pre-Grammy Celebration on February 7, 2019 in Los Angeles, California. A few days after his death, many are still left with the feeling—it’s hard to believe Nipsey Hussle (born Ermias Joseph Asghedom) is gone. The news of his tragic killing shook the industry, the city of Los Angeles, and the nation in a unique way. I—like many others—couldn’t help but think and feel for his love, Lauren London, and their son, Kross Asghedom (as well as her firstborn son, Lennox Carter). Amid the frustration I felt when hearing of people circulating the highly insensitive and triggering videos of the homicide (and tagging her in it! ), as well as London’s alleged arrival at the hospital, I felt a lingering pain in my gut for the immense loss she must be feeling. I couldn’t fathom such grief, not in this manner. I didn’t know how she would publicly acknowledge it—or if she even had to—all I knew was she should have the right to do so in her own time and in her own way. On Tuesday, Lauren London posted a short and sweet message on Instagram, dedicated to her love. 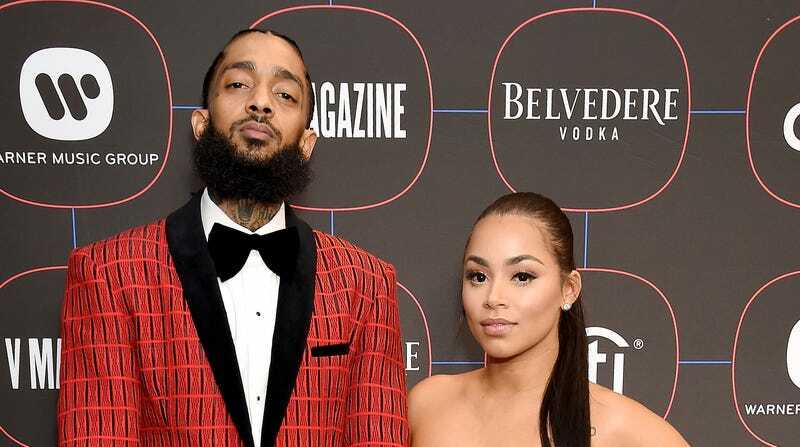 Sadly, just days before Hussle’s death, the couple appeared in a beautiful GQ Magazine spread and an adorable “Couples Quiz” game for the publication where they talked about their favorite things, as well as how they met (at his Marathon Clothing store). In the days since, many celebrities have taken to social media to express their love and admiration to the late rapper, philanthropist and educator. During the promotion for her upcoming film, Little, Issa Rae—an LA native—took the time to express some kind words for Hussle, as well. “He was one of the few people who was so much about his community and so much about empowering and prioritizing us and making sure to reinvest in the community by giving us black businesses,” she said Tuesday, on CBS This Morning. Sending our love to Lauren London and her sons, as well as Nipsey Hussle’s family.